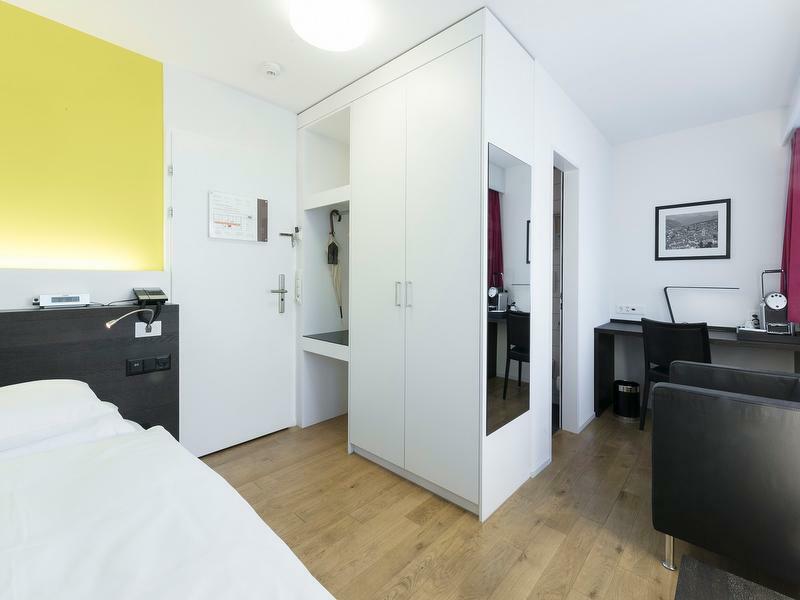 Spacious, light and airy, single room with shower/WC, radio, TV, telephone, hairdryer, minibar, safe, PC connection, W-LAN (free of charge), Nespresso, makeup mirror. Bed 100 x 205 cm. 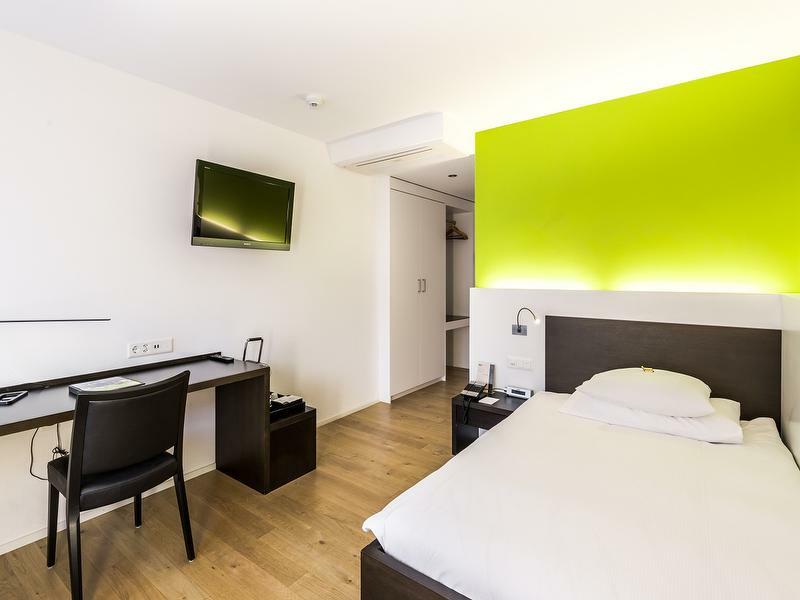 Spacious, light and airy, queen-size-bed room with bath or shower/WC, radio, TV, telephone, hairdryer, minibar, safe, PC connection, Nespresso, W-LAN (free of charge), ironing board, makeup mirror. Bed 160 x 220 cm. Spacious, light and airy, single room with bath or shower/WC, radio, TV, telephone, hairdryer, minibar, safe, PC connection, W-LAN (free of charge), Nespresso, ironing board, makeup mirror. Bed 120-140 x 205 cm. Spacious, light and airy, twin-bedded room with bath/WC, radio, TV, telephone, hairdryer, minibar, safe, PC connection, W-LAN, iron, makeup mirror. Bed 2x 100 x 205-220 cm. A 4-star hotel enjoying a central location directly next to the railway station. 48 modern, light and airy rooms and 1 Suite, offering all modern conveniences, including W-LAN (free of charge). At guests' disposal are an elegant breakfast room, sauna, steam bath, fitness room, parking spaces and a garage. 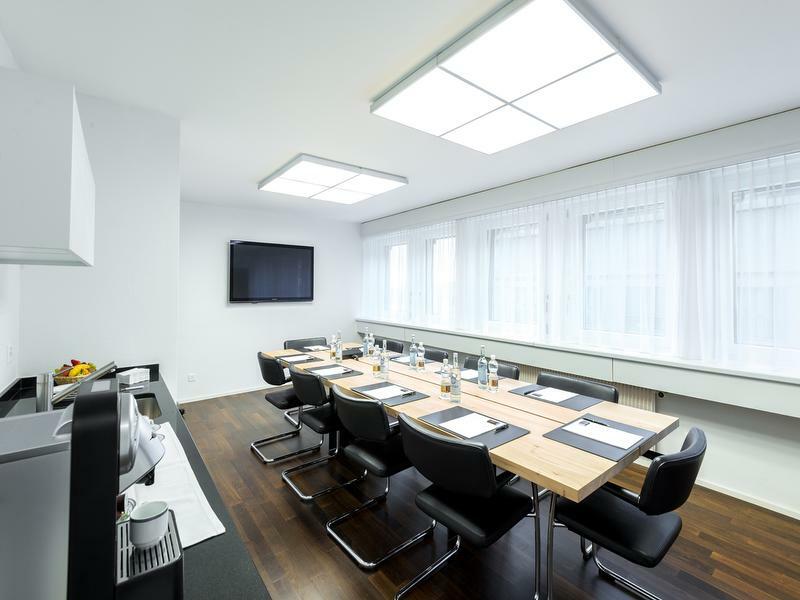 The hotel infrastructure also includes one conference and seminar room, one meeting room, one boardroom and a free Internet station. Local taxes not included. Free W-LAN. Free Internet station. Pets CHF 10.--/animal/day. Outdoor parking spaces free of charge, garage parking space CHF 12.00/night. Check-in 3.00 pm / Check-out 12 noon. How to get there: Leave the motorway at the "Chur Nord" exit and drive in the direction of the city centre ("Zentrum"). At the first roundabout turn right into Quaderstrasse. Continue to the next roundabout and turn right into Alexanderstrasse. After 150m on the left you will see Hotel ABC. Excellent business hotel. Close to the city center and train stations. Awesome vibe. "Wifi signal was working" "Excellent buffet breakfast"
"Easy to find... great location.... friendly staff and great WiFi." "If you stay anywhere else in Chur, you must be seeking a specific service. This hotel is directly across the street from the train station, with no more than a 10 minute walk to the old town. We were there on our way for a ride on the Bernina Express." "Good service, clean rooms. Strange issue with television. Each day when returning to the hotel room the television would be changed to HDMI instead of normal television. Not a big issue but I would always need to switch it back upon return to my room in the evening." "Excellent location, well above expectation.Thank you for the upgrade." "Just opposite the station .... couldn't be any more convenient. Very modern hotel and super clean facilities. All the staff were very welcoming and couldn't do enough for us. Continental breakfast suited us down to the ground and the cutlery sparkled. The lady keeping track of it all was extremely efficient and had her finger on the pulse. No question where we would stay again if we get back to visit Chur." 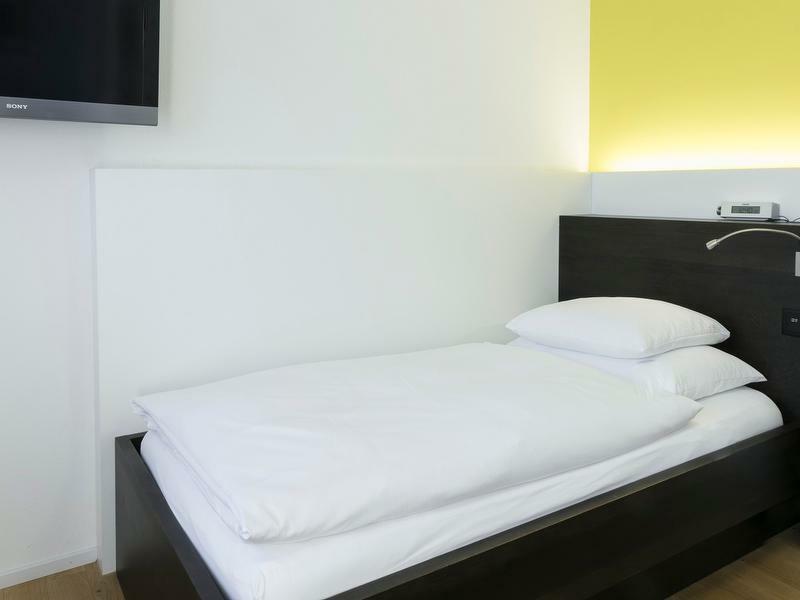 "ABC Chur is a delight to stay- very convenient, remarkably quiet for its position (central and next to railway station), clean and efficient. The stuff went out of their way to be helpful. Breakfast is worth taking time over- excellent. If I ev er pass through this region again ABC will be my port of call"
"The coffe machine was broken and, there was no possible to fix it at the same day." "We were very pleased with our stay. The staff was efficient and friendly and our room was great with the most comfortable bed that we have experienced at a hotel! The breakfast was tasty with a variety of high-quality foods and an attentive wait staff. Highly recommended!" "The hotel was excellent, although we only arrived late in the evening and left next morning to catch The Glacier Express. Situated just right for the railway station, we had time to walk into the town centre. The room was comfortable, a great breakfast. We would definitely recommend." "Good location. Beds are quite soft though. Unfortunately for me personally I require a solid firm bed and therefore will not be staying here again. Otherwise the hotel is very nice." "Nice hotel with great size rooms , breakfast with fresh fruit selection. Parking available at Hotel which makes it convenient." "We were pleased to find the hotel was in an easy to find location not far from the railway station. It is a modern, clean, well-organised building and the receptionist was efficient and lovely. The room was impressive and spacious, clean and modern, the light switches took a little getting used to but the bed was comfortable. The bathroom was large with a bath and a walk in shower. Only complaint would be the room and bathroom overlooks and is overlooked by private apartments across the road. There was a good variety of options at breakfast. We enjoyed our stay over two nights here and would recommend it." "While in a busy area, the hotel was quiet and restful. The staff was friendly and professional at the front desk and the restaurant. The early morning breakfast and coffee that was included in my stay was a pleasant start to the morning. I've been a guest at the ABC in the past and will certainly return in the future." "A high quality hotel, obviously recently refurbished and beautifully decorated to a modern, clean-lined spec and very good fittings. Staff could not have been more helpful and made excellent recommendations about local restaurants. Breakfast was very good with a lovely range of food. Some nice little touches like chocolates on the pillows when we arrived. All in all, a lovely hotel and one where we will return to next time we are in Chur." "Friendly, helpful staff. Impeccably clean hall and room despite the renovation works in progress. Excellent breakfast. Well equipped gym. Delicious traditional walnut cake received as a birthday present. The WiFi signal was working intermittently"
"The stay at your hotel was my last stop in Switzerland after a splendid tour. You rounded my experience off in a perfect way. I cherish my memories." "Friendly staff, clean, centrally situated, great breakfast buffet, thanks"
"It’s my second time at ABC and both visits have been great. The rooms are spacious and clean. The staff is very kind and service minded. Perfect location just next to the train station!" "The ABC Hotel, especially Romy, really made everything perfect for me to come with my dog, C.. I could not have come without him. They even had a lovely little rug for him, a water bowl and a food bowl and a little doggy treat. Thank you. And they offer a take away coffee if you have no time for breakfast. Lovely personnel and would definitely stay there again." "Friendly personell, clean, bright room, good mattress, wide variety of breakfast items." "Everything about this hotel is spot-on! Friendly & helpful staff, great room, efficient service and excellent breakfast"
"Staff is excellent in every area. Check in and out was easy. Breakfast was superb. 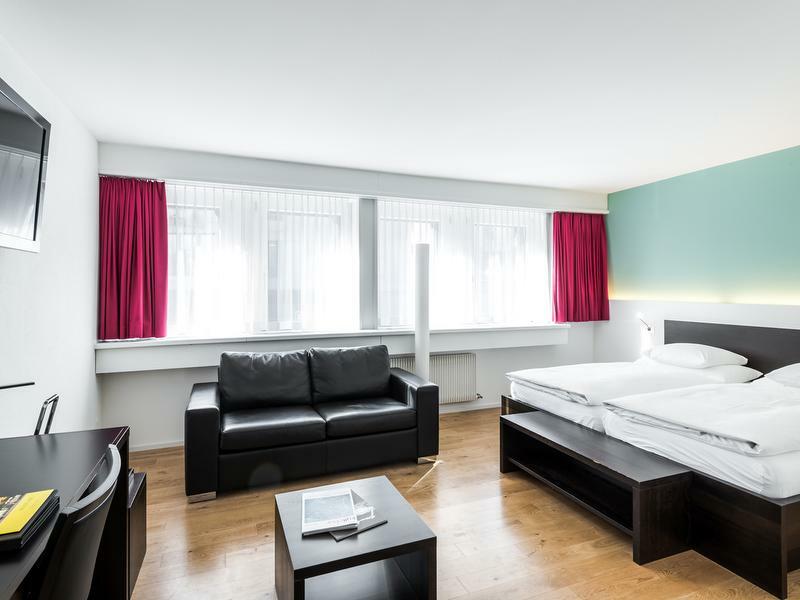 A bit noisy as located adjacent the Bahnhof but overall very comfortable and a huge room that was well appointed." "nice comfortable room, perfect location, great breakfast, friendly staff, nice spa facilities. Only small drawback: shower is in the bathtub"
"Excellent Hotel with good location. Money for value. The room is clean with all the amenities provided. Staffs are helpful and knowledgeable on the products"
"The Staff at ABC are very welcoming and comunicated with me very well. Always pleasent morning and night. The Hotel very quiet considering location. loved the location to walk around seeing the city of Chur." "Very nice hotel. The rooms are very modern with excellent views. All the amenities in the room are top class and very useful. The rooms are very tastefully furnished." "I enjoyed everything about the hotel and breakfast." "Really great experience, nice warm environment and friendly staff as well"
"Location is perfect from the train, very easy walk into town centre, staff were very quick to reply to any questions or recommendations, this help & makes the stay easy & stress free." "Great location for us, close to everything in town. Very efficient and very friendly reception. Room was very good and quiet. All staff were easy to converse with and switched to English with ease. Made us feel very welcome." "From greeting on arrival to the “Bon Voage “ when we left EVERYTHING was a 10+! 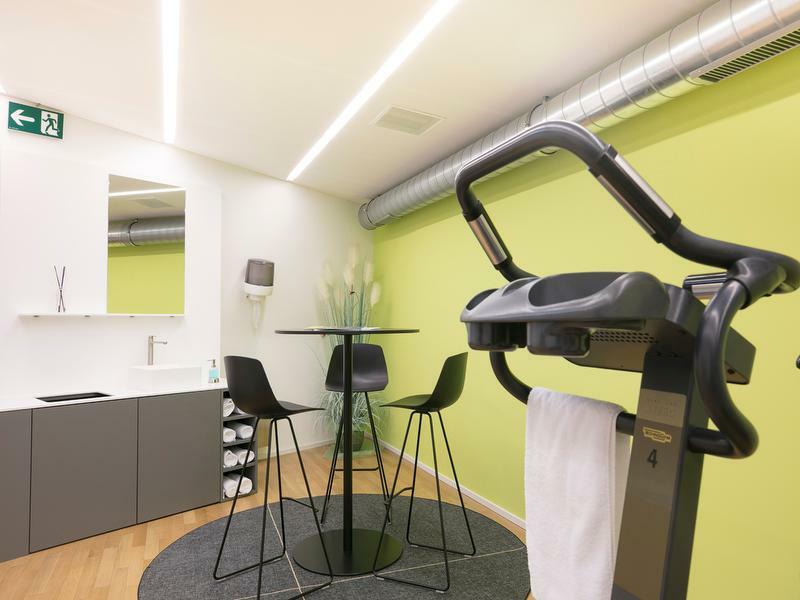 Spotless property, even the Sauna and steam rooms were impeccably clean. Great breakfast selection as well. If I knew all their locations when traveling ABC would be first choice." "Clean and spacious room. Doonas very warm but would be great in the colder weather. Continental breakfast abundant and tasty. Overall we enjoyed our short stay"
"Great hotel. Perfect location. Great staff. Really enjoyed staying here." "Although only a short stay everything from start to finish was excellent. Room immaculately clean, staff helpful and friendly and overall a wonderful atmosphere in the hotel. Great position, we would definitely stay again if in Chur." "Room was so beautiful and breakfas was delicious." "Everything worked perfectly for bed and breakfast - however, it lacks the atmosphere and amenities of a place to relax and socialise - more for business than pleasure." "We only had one night and we do wish we had booked more as didn't get to see much of Chur but your hotel was so well situated as we had an early morning start on the Bernina Express and the hotel was beautiful and breakfast exquisite Thank you"
"Small but effective hotel rooms with necessary amenities. I would not hesitate using this hotel again." "I am very happy with ABC Chur, very good checkin and checkout process. Very nice rooms to a good price. I would not know what I could complain." "We really enjoyed our one night stay at this hotel. This was the first hotel that we stayed at, for our 11 day trip in Switzerland, that had air conditioner. It was nice to be comfortable on a warm muggy night. The bed was also the most comfortable of all the hotels we stayed at. It was so close to the train station, and to the old town. The breakfast was very good. I liked that they had plenty of fresh fruit. It was very warm in the restaurant though, and extremely warm in the reception area. I felt bad for the workers. They needed a fan or window to open." 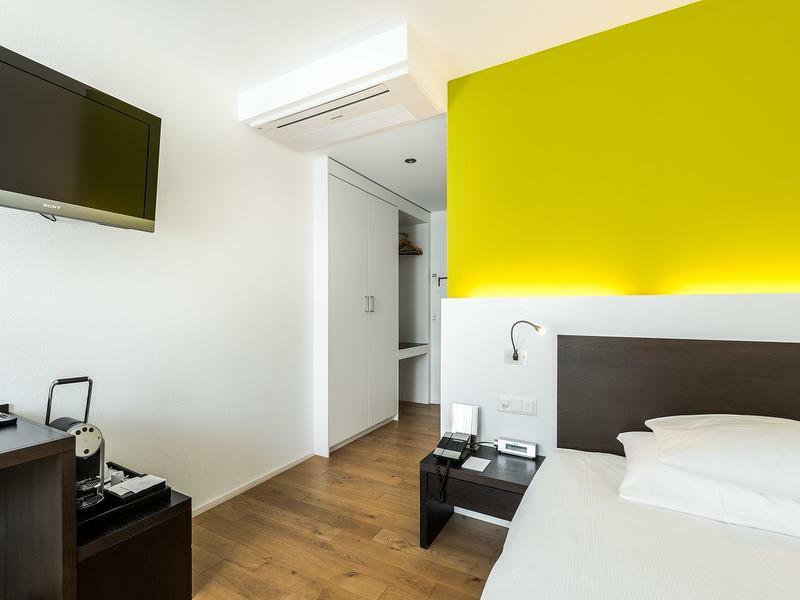 "the hotel is new, well maintained and good sized bedrooms well appointed. Excellent number of TV channels. Friendly staff and a good breakfast. I would recommend and stay again." "For what I want it was perfect." "I have taken the opportunity alteady to personally thank the manager via e mail, last week. Your hotel is conveniently situated close to the station and public transport. It is modern, clean and neat. Your staff was friendly, helpful and well mannered. The rooms clean modern and comfortable. The breakfast was outstanding. The staff again very professional helpful and the food of high quality . The atmosphere ( as we prefer it to be) calm organized and uplifting to the inner person. We will return in future as you are our hotel of choice in Chur." "The only improvement would be to adjust the air conditioner in room 106. The air work, but, did not cool the room properly. May have been a result of the daily temperature." "It is situated close to the rail station and is within walking distance of the shopping centre. Rooms are clean and comfortable. Breakfast was self serve but plenty of food and staff were attentive. 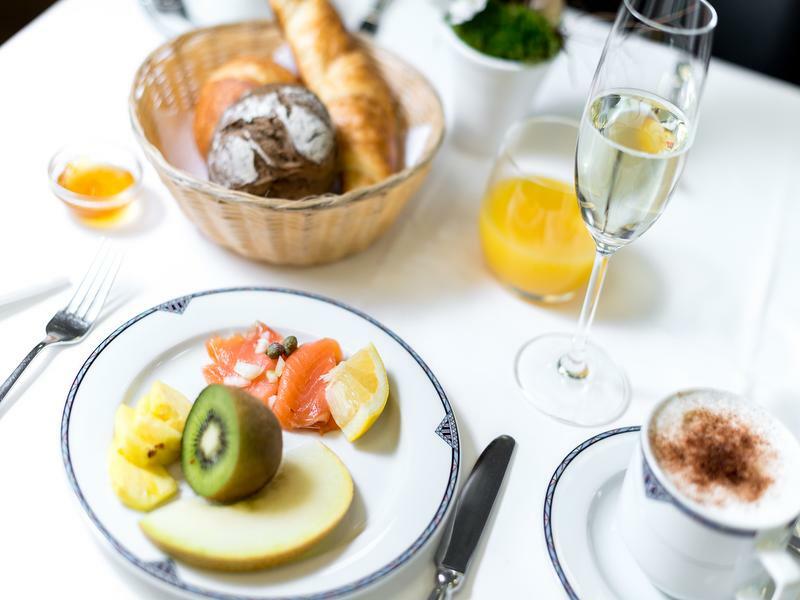 It’s main drawback is that it does not have a restaurant so no other meals can be taken in the hotel, although there are a number of recommended restaurants near by." "Very good, loved the close proximity to the old town and the railway station. The room had good lighting and adequate bench and storage space for travellers. So many hotels make inadequate provision for storage." 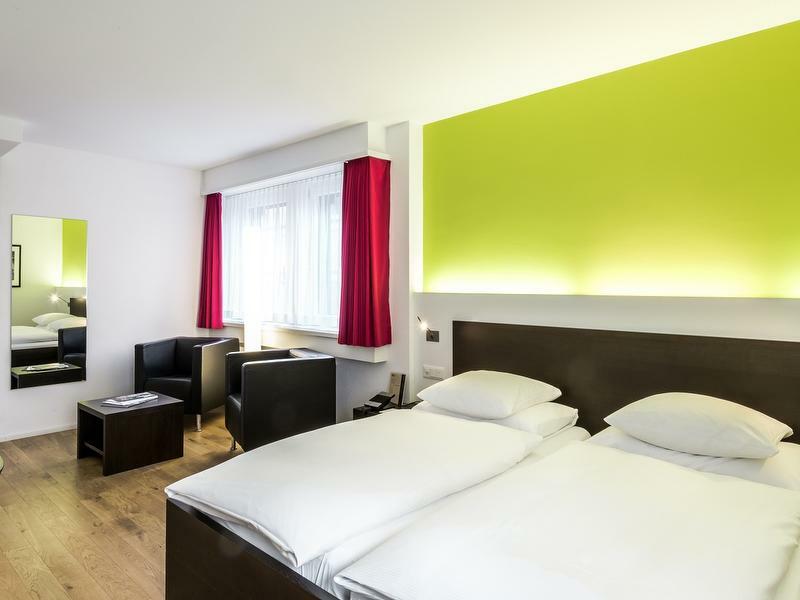 "Comfortable for business use and grasser Express"
"This was my first stay in this hotel. It was recommended to me by Railbookers, the tour operator arranging the majority of my trip to Switzerland. I did not know what to expect from a hotel with such an unusual name but I need not have worried. The facilities were of the highest order and all the staff that I encountered were very friendly, helpful and professional. Also being in such a central location across from the main railway station was important to me. 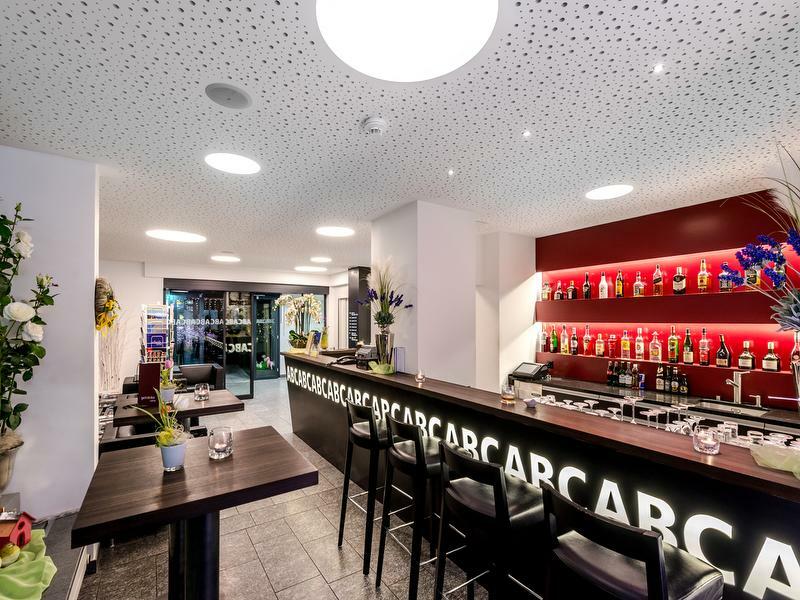 I can thoroughly recommend the ABC Hotel when staying in Chur." 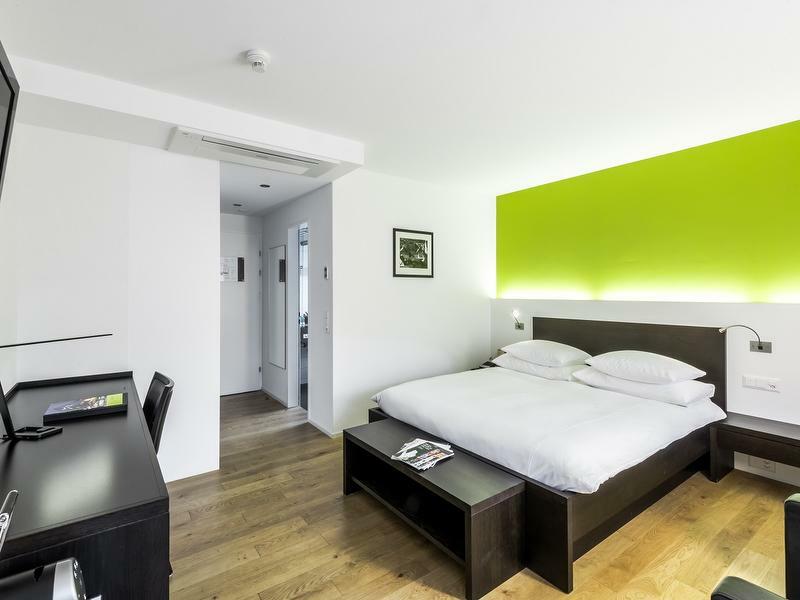 "An ideal hotel recently completely refurbished in a great location right next door to the station. The room was excellent and the air cooling much appreciated with good wifi and lots of English TV. Thought it was so good asked where else there are branches - disappointed to find it was one off!!" "Warm welcome at hotel. Lovely room decorated for our 50th anniversary which was great. Good breakfast catering for all tastes. Convenient for train." "ABC was easy to find, only a very short distance from the station. Close to the Old Town and many nice restaurants. Room was nice, large and well equipped. Breakfast had plenty of choice but on the day we were there the breakfast room was very crowded, which slightly spoiled the experience. Check in was ok, although we were told to return at 2:30, which we did. We sat and waited for someone to deal with us but no one came out of the office, we continued to wait for over half an hour and were only dealt with when a second couple arrived. Overall we felt the hotel was good and would certainly recommend it for a stopover." "We had a very nice stay, the only problem was getting connected to the internet. Everything was as you would expect from a good Swiss hotel, very good"
"We had a wonderful stay and, having arrived by train, it was very convenient given we had luggage to manage. The room was quiet. 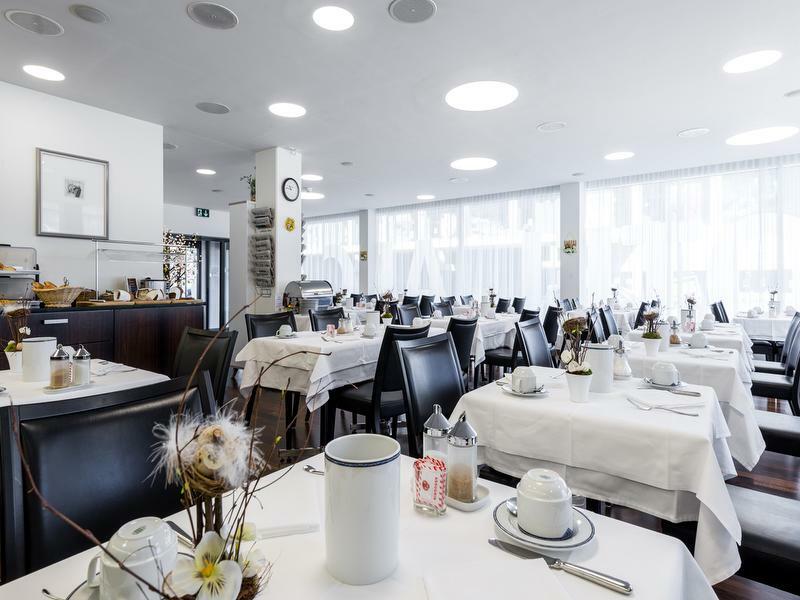 We enjoyed the breakfast as well as the spa after a day of walking around Chur." 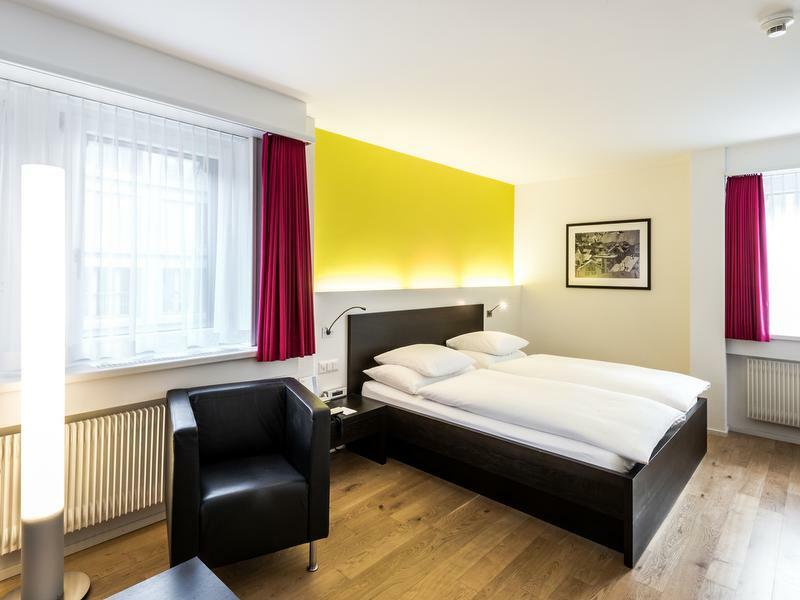 "The hotel is located in the opposite of Chur Bahnhof so it is very convenient. Room is clean and sufficiently large. Breakfast met with our expectation but could be better if there could be more variety of food. Anyway it is definitely the top choice in Chur." "We only spent one night at the ABC Swiss Quality Hotel in Chur, as a stopover for the Bernina Express. Staff were very welcoming, kind and accommodating. The facility and room were very spacious, clean, and nicely appointed. Breakfast was included in our stay and provided a vast variety of food options. We had a splendid stay... our only regret is that we were not able to stay longer to enjoy the hotel and the charming town of Chur!" 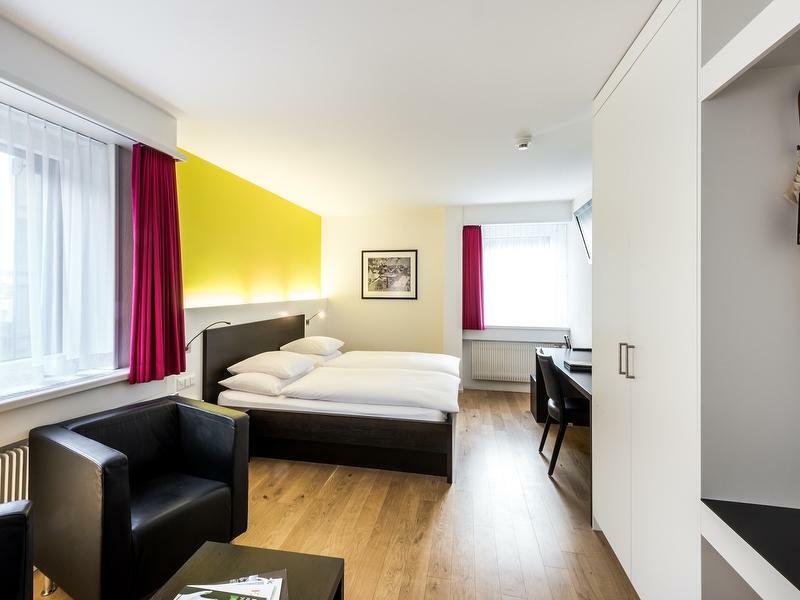 "I stayed in the Hotel ABC Chur for two nights and I liked to much because the hotel had a perfect location for those who visited the city by train. The hotel staff also was very helpful and kind. The room was very good and spacious and the breakfast was also very good." "Great location for our one-night stay in Chur - easy access to train station, nicely appointed room. As US residents, we are used to having a top sheet on the bed rather than just the duvet, but the staff understood and provided us with an additional duvet cover to use as a top sheet." 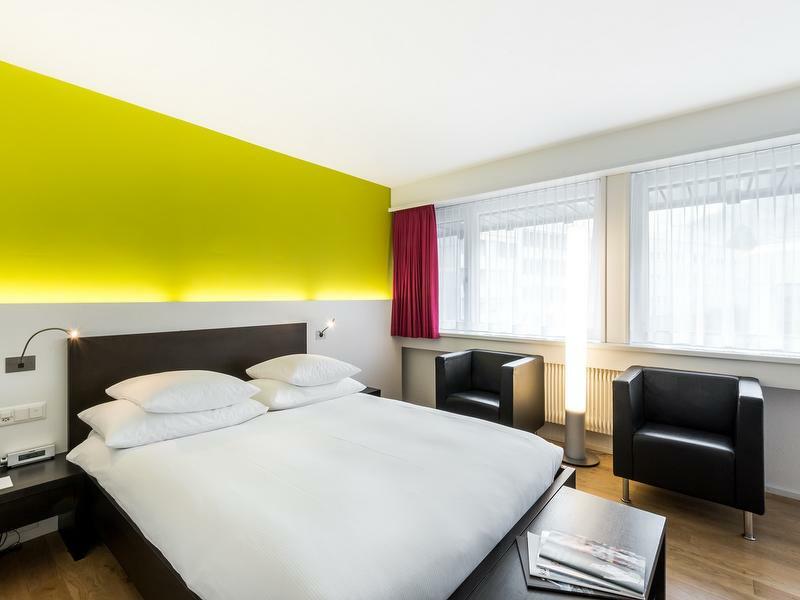 "This hotel is ideally located over the road from the Chur Train Station! Staff were very helpful, friendly and welcoming. The room was spacious and very clean with beautiful bed linen. It is expensive but this is Switzerland! Overall, a very lovely stay!" "Breakfast food barely average, though breakfast staff was very hospitable. Most days didn’t have any hot water for showers." "Lovely hotel, staff very friendly and helpful. Comfy beds, coffee machine in room, great shower and toiletries. Sumptious breakfast. Close to local amenities would definitely stay here again and highly recommend to anyone considering staying in Chur. Sad we didn't have longer time there." "Clean +comfortable room. staff are helpful and service well." "Perfect location whilst touring Swiss railways. Right next to station. Great choice of restaurants especially the Italian one on next street. Hotel staff very welcoming and polite." "I was perfectly happy in a nice room. There is some noise outside, also during the night. The staff is very friendly and always willing to help." "Just stayed one night but everything was excellent." "good room, breakfast and perfect for the station"
"Clean, comfortable, and very convenient to the train station and to the heart of charming Chur, which is the starting point for several sightseeing trains. When I return to Chur, I shall not shop the web for a hotel; I'll book at ABC straight away." "What a pleasure it was to stay at the ABC hotel, from initial welcome greeting for Romy Erni to the lovely ladies in the breakfast room. Nothing was to much trouble. Hotel very clean and fresh, beds amazing, wanted to take one home with me. We had a very large twin room, thank you. The quality of breakfast food excellent, with ladies replenishing constantly. Location very good, opposite railway station and central to the town..Our trip was part of a two centre holiday package, I so enjoyed our stay I would book independently next time and would certainly recommend to fellow travelers." "Great location. Kind and spot on service especially during breakfast service. 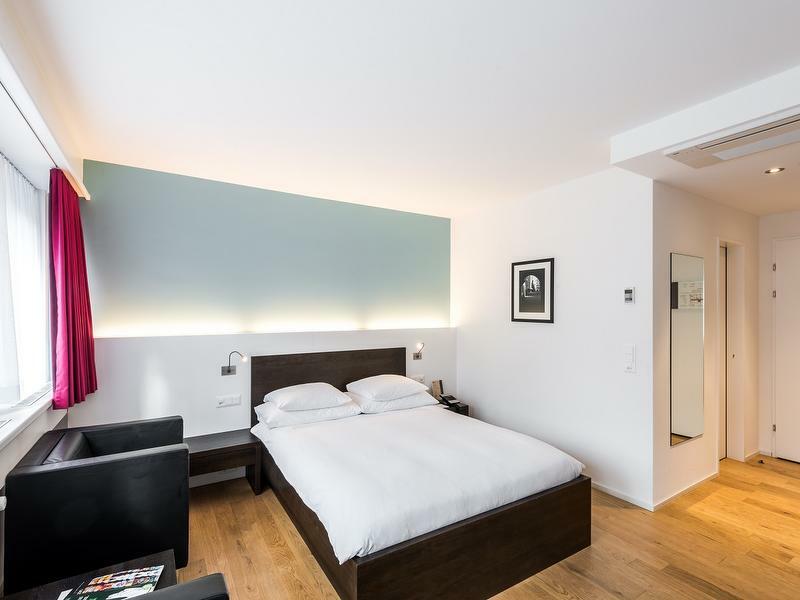 Modern and clean rooms"
"ABC Swiss Quality Hotel was everything it promised to be at a very reasonable price. The staff was delightful, the room was clean, quiet and and roomy, breakfast was delicious! A prefect stay for our overnight awaiting departure on the Bernina Express." 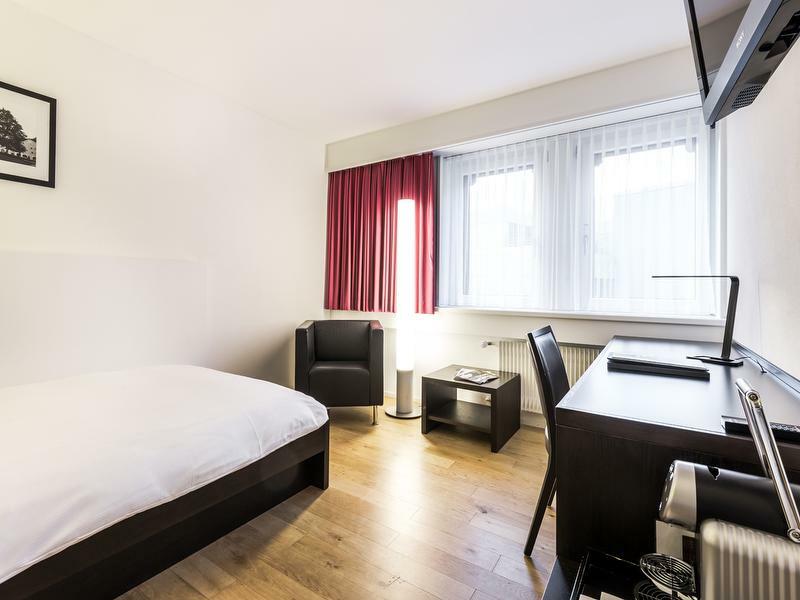 "Very nice hotel close to the train station. Chur has a very old and interesting town centre a short walk fro the hotel." "Room facilities are excellent. 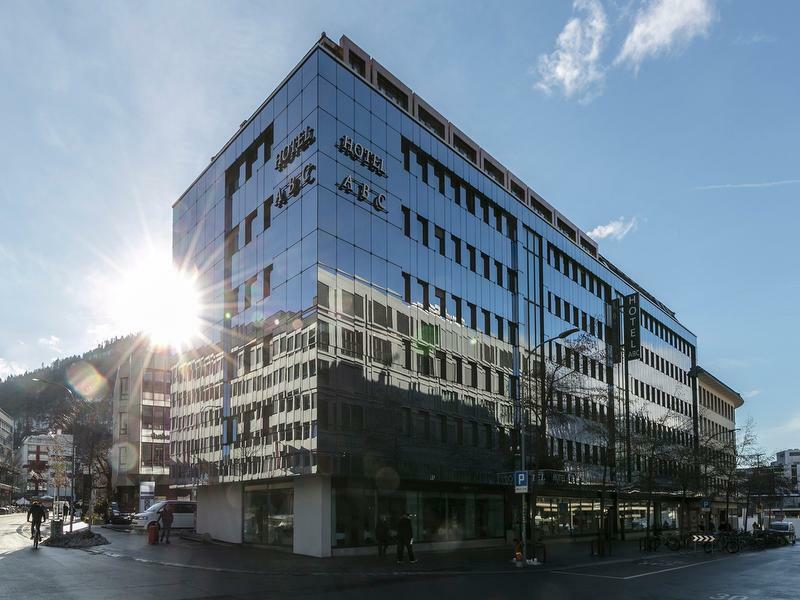 Furthermore, the hotel location is very satisfactory to reach the Chur station and the Old town, that will not be only supportive for late arriving or early departure but also visiting for sightseeing in the old town. I would like to make a request to the Hotel that is "Quick elevator restoration" for your guests and staffs. My room was on the 6th floor, so your lady! staff sweat and bringed up and dwon our luggage. We looked like athletes." "Lovely rooms, good value for money, friendly and helpful service. As in many hotels we found the rooms too warm but can’t leave windows open at night due to noise so had to close them and use air con but this was very cold because the doonas were very thin... Ended up either too cold with air con on or too hot with it off. Most hotels we’ve managed by having a cold room with warm Donna. It would have been helpful if there were extra doonas in the room or you could adjust the heating." "I travelled to Chur for business. The hotel was located right next to the train station for which I needed to travel to Hamilton in Domat. The hotel was very accommodating and the room was very nice. Wifi and breakfast very also great." "Absolutely clean and quiet room. Perfect. The only "issue" was the shower, I dind´t like it (personal opinion)"
"very clean hotel and friendly staff, they do their best to help tourists." "Very clean room, comfortable bed, very nice and helpful staff and excellent location. Very close to the train station and the town center. We are so happy that we stayed in this hotel." "Your staff was kind and helpful." "The elevator was in renovation during our stay, but we were informed about that weeks prior our arrival date, and it wasn’t a problem at all coz they helped us with our luggage. Breakfast was really good, and lots of variety. Coffee machine in the room is a bonus, if I ever find myself in Chur, I’ll stay here again! Oh and the receptionist was really nice too."